Artificial intelligence has made so many headlines over the past two years -- both good and bad -- that startups entering the space need to think carefully about how they position the technology to their customers and prospects. To some extent having a product or service based on AI can allow an emerging firm to get more attention from the wider market. That can mean a lot when a firm is unknown or unproven to its potential base. Some of the attention may not be positive, however, depending on what certain people might have heard or experienced about applications involving things like machine learning and natural language processing. Some might almost see AI as a synonym for the word “innovative,” for example. Others might hear it and the thought of human jobs being eliminated immediately comes to mind. Part of the problem is that, even though AI is quickly maturing as a technology in many organizations and industries it’s still new enough to be considered disruptive. It can change the way companies work internally, but it can also have a big impact on how customers interact with a particular firm and the kind of experience they go through as they use a product or service. One day, it might all seem commonplace, but we’re probably still a long way before that happens. In the meantime, here are some guidelines for how this conversation could happen, whether it’s through the marketing you do as a firm or even in one-on-one conversations with customers. Speed: Does the AI technology you’re using allow customers to get what they want faster than would be possible using traditional or more manual approaches? Accuracy: Does AI help avoid errors or other problems that would normally crop up in similar products and services that don’t use the technology? Insight: Can AI help customers make smarter decisions -- or make your company smarter about the way in which it serves them? If what you offer is free, customers might start to wonder if they are, in fact, the “product,” in the sense that information they give a startup in exchange for using your AI-based wares will be monetized for advertising or other purposes. Even if what you offer isn’t free, some might worry about whether their data will be treated appropriately with AI technologies, or in ways that respect their privacy. Whether you use blog posts, videos, infographics or some other form of content marketing asset, make clear the value of customer data in delivering something through AI that will directly benefit them. It could be some of the traits around speed, accuracy and insight mentioned earlier in this post, or it could be something else. Perhaps collecting and processing an individual customer’s information through AI will save them money in some way, or allow them to get a premium version of a service your firm offers, for instance. Remember that customers may need to understand that AI gets “smarter” the more information it has, and that in some cases you may need to collect additional data from them over time, rather than just when they start working with you. Also, don’t limit the areas where you talk about this kind of data-value exchange. It should be everywhere from the “How It Works” section of your site to what you mention in case studies, social media and even what you might say at a conference or event. While AI can automate all manner of business processes, many customers will not want to feel like all their interactions will be with some kind of bot, no matter how “smart” it is. As with marketing any new brand, it’s critical to help customers understand (and get excited about) the kind of experience they’ll have with you. This includes everything from the moment they first interact with your firm to long after they’ve made a purchase. AI might play a role at each stage of the journey -- and it may make the overall customer experience better than ever before -- but make mention of the people behind your products and services, too. Talk about the vision and values that created the foundation for how you use AI. Also make sure customers understand how they can connect directly with your team when they need to have a conversation requiring human qualities like empathy, or when they have questions that aren’t easily answered by a machine. In some markets, you may also want to talk about how AI is affecting your workforce. While the technology might mean fewer people are required in certain kinds of roles, for example, AI can open up job opportunities in many other fields. Be prepared to address the impact of AI on jobs. It’s not enough for startups to say they use AI. They need to think about how to tell a story that might be described as “AI, and . . .” where they focus on how the technology is applied in a particular context that affects customers’ lives. This is also a story that won’t simply be told once, like when the company first launches. AI is changing all the time, with advancements in the computer science behind it creating new potential uses all the time. 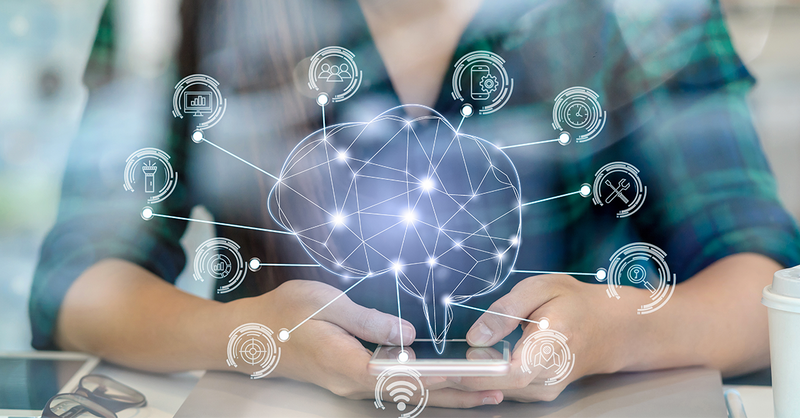 Think about how you can use your marketing strategy as a way to update customers on AI advancements as it may affect what you do, as well as the world around your customers and prospects. AI can still sometimes be intimidating to some of them -- your job is to make them feel smarter about it, more confident and ultimately more ready to trust you as a firm.